Choosing a family lawyer is one of the most important decisions you can make. 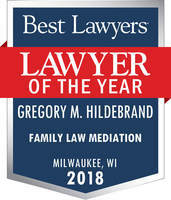 Our lawyers are trained and skilled in all methods of resolving family issues—we have extensive experience in Collaborative Practice and Mediation in addition to constructive negotiation and litigation, if necessary. We work with a network of interdisciplinary professionals to assure the most efficient process and effective outcomes for clients and their families and have provided local and international training to lawyers and other professionals. We also work with our highly skilled and experienced office staff to assure our clients receive an efficient, responsive, and effective process. Sue Hansen helped me through a challenging collaborative divorce. She was far more than a lawyer I hired. She was a coach, mentor, and guide. Always on top of events and keeping me well informed, Sue Hansen is Immensely professional and a true pioneer in the collaborative field. Greg served as my attorney working jointly with my fiancee's attorney to put together a prenuptial agreement. Greg was very knowledgeable about these agreements, always responsive, very considerate of both our wishes, and highly professional. Thank you to Paul. Mediation helped us focus on what was truly important and made sure we understood our options and the impact of our choices. We avoided all of the ugliness and expense of a court battle with your help. Lindsey - We want to express our thanks and gratitude to you for assisting us through this process. You made a very stressful situation much easier to handle with your calm demeanor, timely responses and knowledge of the system. Click here for more client comments.